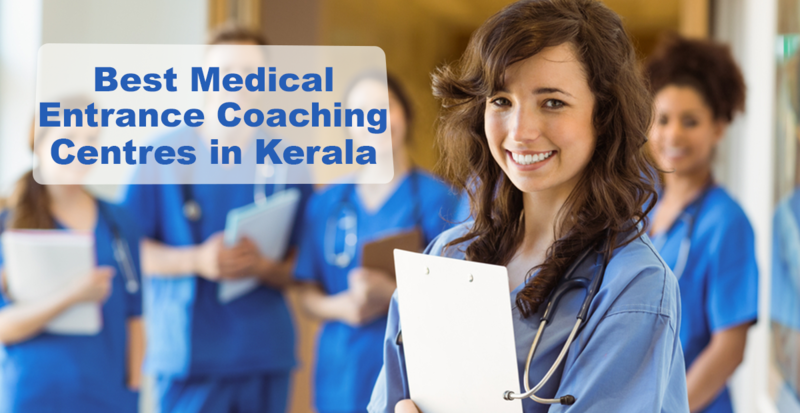 This article helps you to find out the best medical entrance coaching centres in Kerala and know about the popular medical entrance examinations. Out of the millions of students that clear the Std. XII exam, many thousands attempt to write the medical entrance examination in the hope of becoming doctors in the future. However, only a few hundreds achieve this goal. This is because the students have to prepare in a specific manner to clear the medical entrance examination. Some of the most popular medical entrance examinations are NEET UG (for the undergraduate course), AIIMS MBBS, NEET PG (for the postgraduate course), PGIMER, CMC Vellore PG etc., among others. The topics to study for these entrance tests for undergraduate medical courses are drawn from the Std. XI and Std. XII CBSE syllabus. These exams can be cracked successfully by the students if they prepare meticulously and in a structured manner. There are a few medical entrance exam coaching centres in Kerala that do this job well. Given below is a ready list of five of the best medical entrance coaching centres in Kerala. Established in the year 2000, the Alpha Entrance Academy is a name that is reckoned with when it comes to medical entrance coaching. Many students that have been coached by this institution have gone on to become doctors. So much so, the institution has become synonymous with excellence for the top NEET coaching centre in Kerala . Their coaching system is structured and meticulous, with individual care for the students and the course material is up-to-date and effective. The results speak for themselves. The teaching staff members are experts, they are dedicated and committed. Their coaching style includes conducting model exams and test papers on a daily basis, conducting motivation programs for the students to keep up their morale and also maintain a doubt clearing cell to help the students to clear their doubts. Ever since Brilliant Study Centre was set up in Pala in the year 1984, it has been noted for its excellence as a medical entrance coaching centre in Kerala. Students from far and wide come to study in this small town. They even run residential programs for repeaters and one-year or two-year programs for medical entrance aspirants. They also offer to coach for postgraduate medical entrance examinations for MBBS qualified doctors by joining hands with Dr Bhatia Medical Coaching Institute (DBMCI) of Delhi. As far as facilities are concerned, they have separate hostels for the girls and boys. They keep the students focused on their exams by conducting online tests at regular intervals. They have a well-stocked library that is put to full use by the students. Online tests are conducted with a view to improving the speed and focus of the students. They employ the best science professors at the institution who prepare the courseware. The faculty is committed and experienced. They employ over 500 science teachers and this is their main strength. As one among the earliest medical entrance exam coaching centres in Kerala, Prof. P.C. Thomas classes stand out for its performance by the sheer number of rank holders that emerge from this institution. In addition to providing coaching for major medical college entrance exams (both UG and PG), they are also noted as the best AIIMS entrance coaching centre in Kerala. They offer purely residential courses for aspirants that come from far and near. The course is designed so that regular students write over 100 mock exams in a year. The repeaters write over 200 exams in a year. Their strength is the eminent faculty that have put together the courseware. Set up in the year 1997, it is considered one of the best medical entrance exam coaching centres in Kerala. They have their branches in Kochi and Calicut too. Their success lies in their exam-oriented courseware which has helped many a student crack the medical entrance exams with ease. The course combines the best classes with regular tests for the students and online exams as well. They have a well-stocked library which is a great help for the students. They conduct all Kerala Level Exams from time to time so that the students can rate themselves and find yet another chance to better their performance. What about Riju and Psk Coaching centre of Trissur?